Last week, I had the honor and the pleasure of watching a demo of the promising Horror Themed Tactical Turn-Based Game, Othercide by indie Parisian Lightbulb Crew developer. Together with the Art Director, Alexandre Chaudret and the game designer, Bob Hands I was able to know more details regarding the gameplay and I found it absolutely fantastic. 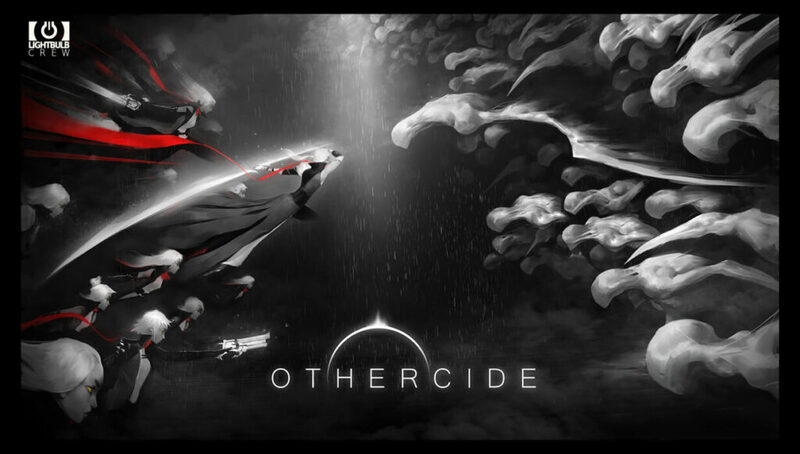 As mentioned in the introduction, Othercide is a tactical turn-based game with dark plots, where we will be leading female warriors who will have to deal with horrors coming from parallel realities. 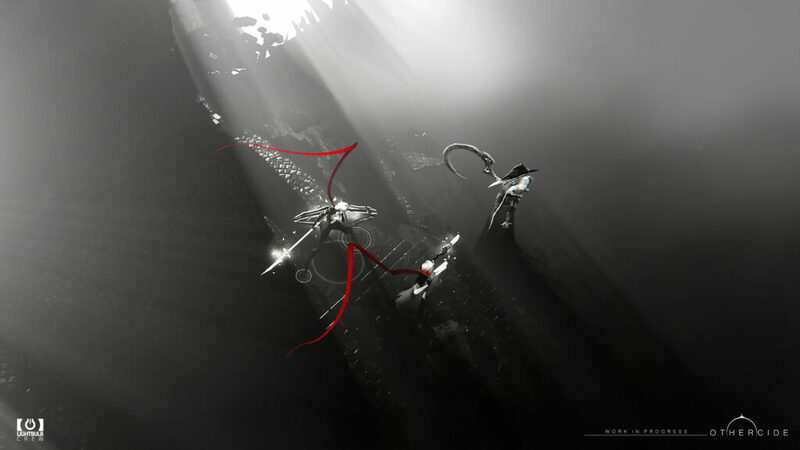 The first element that stands out is definitely the graphic concept completely in black and white with the red as the only prominent color, which is used to highlight the various elements and details of the game. This is not a simple graphic choice but refers to the fact that some people dream in black and white and since in Othercide we are in a universe at the limit between the nightmare and reality, it is a very apt choice and at the same time creates a style one of a kind. There are no procedurally created contents but everything is handmade. As soon as the demo started, the first element analyzed was the timeline bar at the bottom of the screen, where you can see who will be the next unit to perform his actions. In fact, in Othercide each unit will have its turn. This is just one of the fundamental elements that give a high level of strategy to Othercide. During the battles, therefore, we will not only have to pay attention to the position of the enemy units but also to their turn order in the timeline bar. In fact, thanks to this bar you can plan the details of moves to be made, for example, decide to attack an enemy unit that is close to making his moves and make sure to delay it, or simply eliminate it, or using our party member abilities to anticipate a friendly unit turn and eliminate an enemy that is close to him. It will be vital to monitor the timeline bar and make choices accordingly. 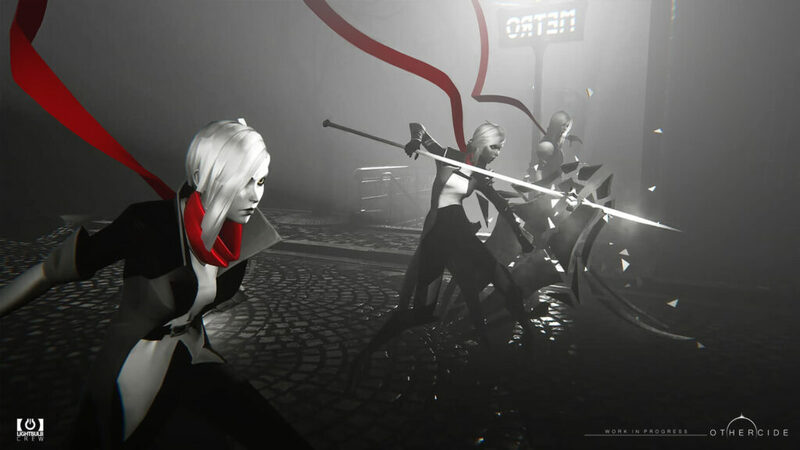 You will lead a group of female warriors against nightmares from other realities. The developers have been very clear, Othercide will be a terribly difficult turn-based game that will require tactical perfection to make sure to bring home our units and will require continuous sacrifices of soldiers who will be able to transfer part of the skills and characteristics acquired to the new recruits. As happens in Dark Souls, the monsters will hit very hard and will only need a few shots to kill our warriors permanently, and among other things, there will be no chance of healing them. Each of our choices will be final and there will be no possibility of going back. 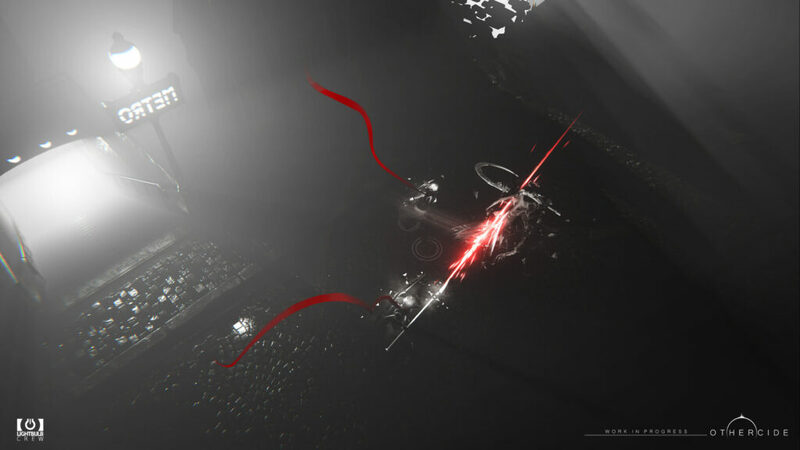 Othercide will be tremendously difficult and will require tactical perfection. All our choices will be definitive. We will have to plan every move carefully because the game doesn’t forgive mistakes. In the demo, we drove 3 warriors on a dark map facing different waves of cultists (enemy monsters). To do this we used the different skills of the classes in the game. The classes seen in action were the Gunslinger, the Knight and Blade Master. The Gunslinger is the unit dedicated to the ranged attacks, which uses his gun to inflict damage and control the rhythm on the battlefield. The Knight will be our tank, responsible for absorbing enemy damage and distracting them. 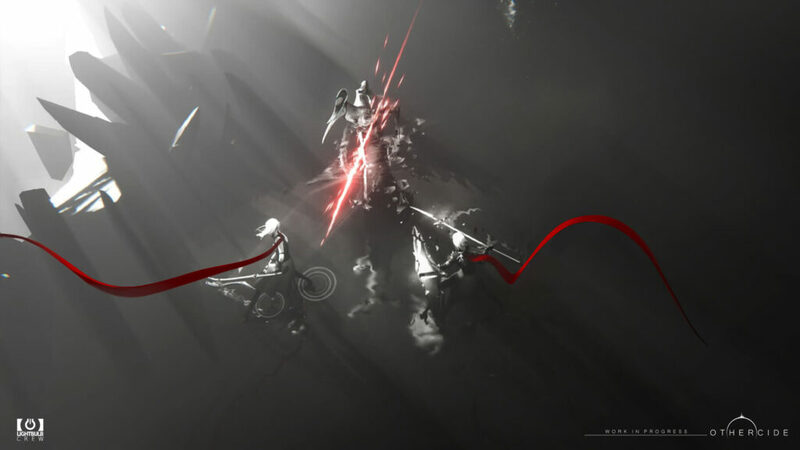 The Blade Master will be the class that will allow us to deal massive damage to the monsters but will also be very vulnerable to enemy attacks. Each class is dependent on the other and it will be necessary to make the best use of them to complete the missions. At the beginning of each mission, we will decide which unit to bring to the battlefield and we will have to form a balanced party to be able to face the different enemy units we will encounter. In fact, even the monsters will have their own class and characteristics, later we will go and more we will find creatures of a higher level that will have certain abilities and that will force us to face them in a certain way. For example, there will be units with a high level of dodge, and we will then have to choose the right class and ability to throw down them. It will, therefore, be unthinkable to face a mission only with warriors of the same class. Each unit will have Action Points that will use to move, attack and use special abilities on the battlefield. Some of the skills seen in action were the Knight SHIELD BASH that allows them to cover a certain distance and approach the enemy by attacking him with the shield and then we saw two Gunslinger abilities to control the battle turns. In fact, thanks to the HOBBLE ability, we can attack from a distance the enemy and slow down the coming of his turn in the timeline bar, while thanks to the HASTE ability we can anticipate the turn of our party members. Then there is also the DEFLECT ability that works a bit like the XCOM overwatch and will give us the ability to deflect shots during enemy turns. As for the growth of our heroes, the developers have told us how each unit belonging to a class, have different characteristics from each other, will begin as an empty book and then develop characteristics and skills based on our choices, for now, we did not have many details about it. 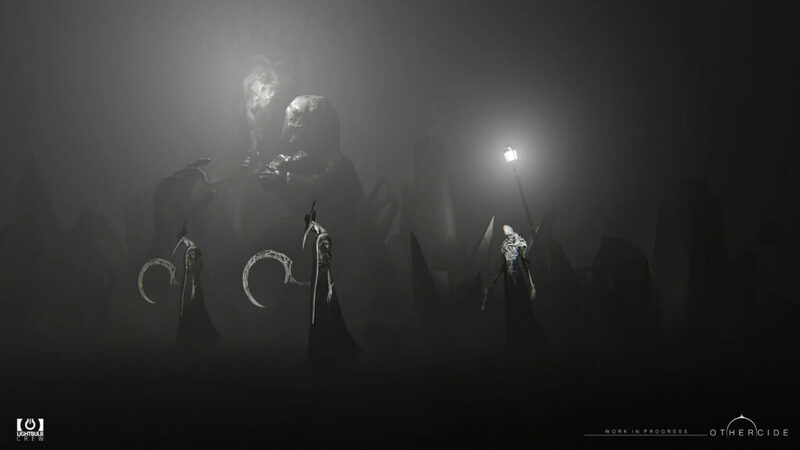 Othercide has a unique graphic concept. Lightbulb Crew has taken care of every little detail. The thing I found well done and is a clear choice of developers to counter the high level of difficulty are all the information we get before making a particular move. That is, if I decide to move, for example, my Gunslinger will have in advance information about which enemy unit I can attack by moving in that particular point of the map and if I can attack it from the front, side or back. And the same goes for the skills that allow you to delay or anticipate the combat turns, in advance, we will have clear the situation that will arise after having used that particular skill. We can plan every move thanks to the informations we receive in advance, before confirming an action. As for the mechanics related to the world, the lore, the main story, and the management phase, the developers have not yet been able to unbalance and therefore we have to wait for next updates. It was the first time for me to watch live a walkthrough of a game showed by the developers themselves. There was a lot of emotion and at a later time, I thought of a thousand questions I could have asked Bob and Alexandre. In any case, I was surprised by the genuine work that Lightbulb Crew’s guys are doing and by their care to the smallest details. I firmly believe that Othercide will be one of the best turn-based games of the next year. 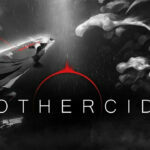 Othercide is under development for PC and its release is scheduled for Spring 2019. In the meanwhile, you can already wishlist it on steam. (below you will find the link to its store page and the latest Gamescom trailer with some gameplay sequences) and you can follow the developments on the official website and on their Twitter profile.